What's With All These Internet-Famous Twins? If the Internet were the hotel from The Shining, you would find teenaged twin YouTubers haunting every single hall. Lately when I manage to brush up on the expansive universe of Internet Famous teenagers and young adults, I feel as if I’m seeing double. Because there are literally doubles, everywhere, particularly of stubbly young men, recording themselves Googling their names or setting up elaborate pranks on Youtube, Instagram, or Vine. 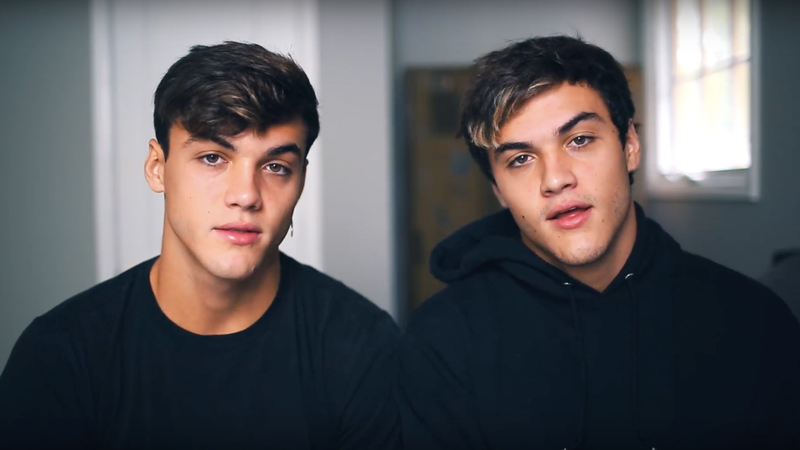 There are the Dolan Brothers, who started out on Vine and now have over four million subscribers on Youtube and a spot hosting on MTV’s TRL reboot. Then there are the 18-year old Martinez Twins, with 3,720,331 subscribers on Youtube, who “live all over the world” but are from Barcelona. A video from this summer called “CAN YOU EAT THAT?” in which the two brothers try to eat things like lipstick and sunscreen got over 999,000 views. Have I mentioned how I fear for our children? The Dobre Twins, Lucas and Marcus, have over five million and seven hundred thousand followers and make the same sort of mind-numbing Youtube content that the Dolan and Martinez brothers do, with titles like “WE SURPRISED OUR MOM WITH A PUPPY!” or “OUR PARENTS LEFT US HOME ALONE (BAD IDEA)” except with far more gymnastics videos. That’s because their mother was an Olympic gymnast in the 1980s and their family now runs a gymnastics facility. 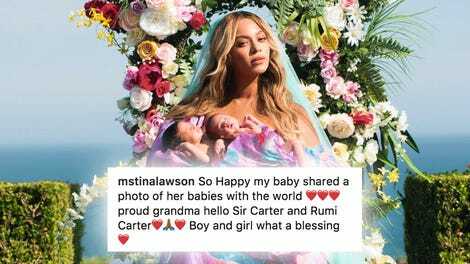 There are also identical Austin and Aaron Rhodes, Youtubers who ended up on The Ellen Show after they came out, together, to their dad in a 2015 video, and the pre-tween musical duo Max and Harvey Mills, who have 670,000 followers on Instagram. And probably dozens of others who are just starting their accounts and will soon be smiling from a poster in your 12-year-old niece’s bedroom. But the twin phenomenon doesn’t just include men and boys. There’s Lisa and Lena, the wildly popular German twins who gained a following lip-syncing songs on the app Musical.ly, and the identical Merrell Twins, who, like so many of these vlogging twins, also make music. And there are so many compilations of twins performing and lip-syncing on Musical.ly, where twins seem to really thrive for some reason. It might be that because the most popular account on Musical.ly is Lisa and Lena, other twins might be running to the app to cash in on the trend. So, what’s the deal? Is it because we (or just me) secretly suspect any of these twins might share some case of folie à deux and will eventually murder their parents in a fit of intense passion? Do YouTube and Musical.ly algorithms somehow make identical duos get more views? Or is it really just as simple as two cute people are better than one? Someone Tried to Make Fun of These Chaste Twins but the Internet Said No.